Check out this site for free HALF SQUARE TRIANGE pattern paper. I have been buying these for my projects and during a late night sewing fest I realized I didn't have the right size for my project. Ahhhh what am I going to do???! Search the intranet and this is what I found. You can print out any size you need and it even has a key to measure so you know your triangles are going to come out the right size!! 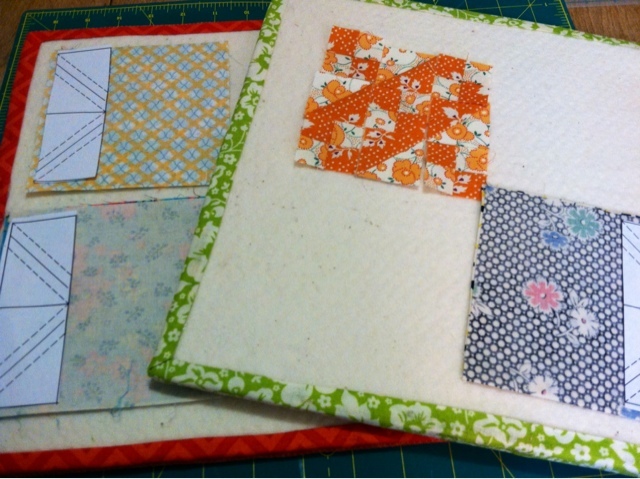 Thanks so much quilting and whatnot for making my sewing fest a success! What a great find! Thanks for sharing! This will really come in handy. I was a happy sewer when I found it! It was about 1 am when I decided I needed it. Thanks for the link Kristin! I've never used triangle paper before but I know lots of quilters love it.